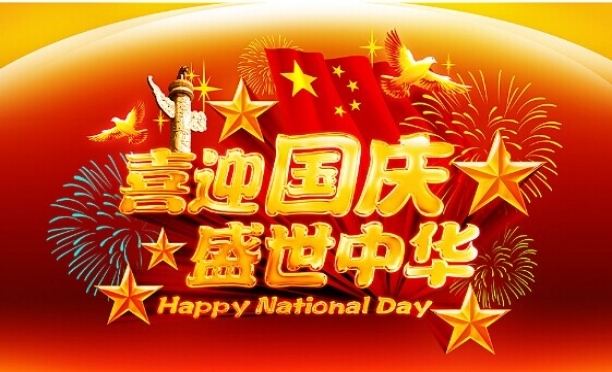 China is going to have the 68th National Day holiday. It range from 1 Oct to 8 Oct total 8 days. Most people in China are off and we are off as well. We will be back to work on 9th Oct Monday. If you are coming to China please not come at this period. If you have something urgent please phone us directly.